Tinkerbell a senior maltese rescued from PBC ACC is provided a second chance at happiness. Tinkerbell will never want for anything, her new mom Evelyn and dad Raymond (in photo) will see to that. 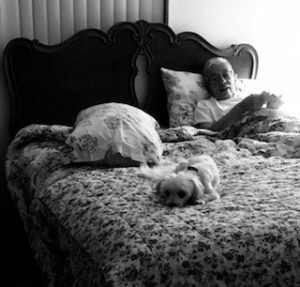 This senior couple lost their beloved dog, Little Prince and have been heartbroken. Tinkerbell has filled a huge void in their lives. This was a match made in heaven.